This smoothie has been my life force during my second pregnancy, and I’ve consumed it in some form almost every day since my queasy first trimester began. Sometimes twice. 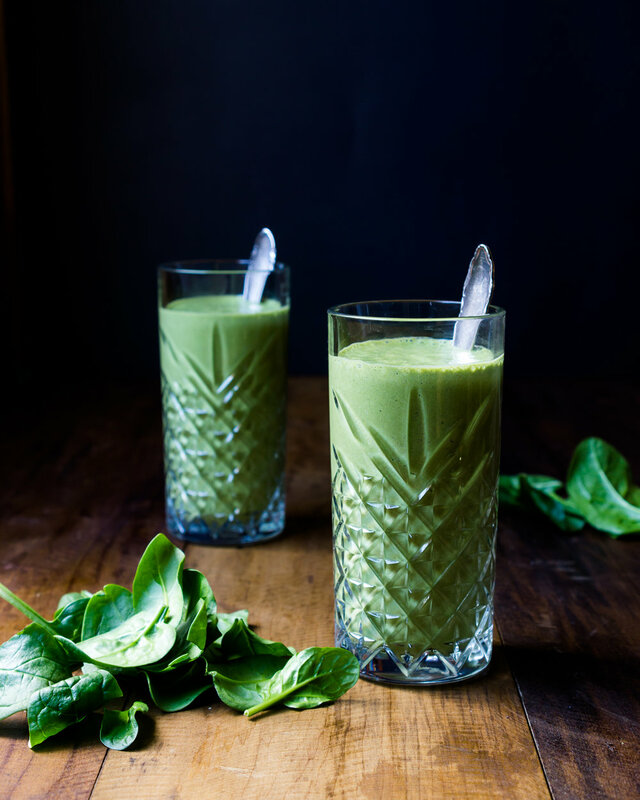 The recipe is so simple that I was almost not gonna post it, but it’s also so delicious that it would be a crime not to, in case some poor person out there - pregnant or not - is trying and failing to create the perfect green smoothie. For the first few months I was using hemp seeds, but after a conversation with my friend Roberta - who is both a Naturopath and Nutritionist - about things I can do to better support myself during this tiresome third trimester, I’ve swapped the hemp seeds for hemp protein in order to up my daily protein intake. You can use either. If you decide to go with a different kind of protein powder I strongly recommend reading up on them first and making sure you get something that doesn’t contain any crap such as artificial sweeteners or stimulants such as creatine. Stick with something that’s organic, and preferably a single ingredient, such as my beloved hemp protein powder, or pea protein powder. Pop all ingredients in a blender and turn that bad boy on until everything is smooth and well combined. I just use the smoothie setting on my vitamix but if you have a different type of blender, do it until there are no clumps of spinach left.